It’s easy to get lost. Not the kind of lost that you can fix with a GPS, but the kind of lost when you don’t quite remember who you are anymore. 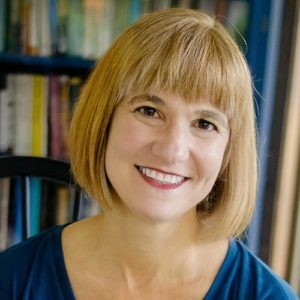 Michele DeRusha, author of True You, helps us to find our way back to the person God created us to be. Pushing back the false facade of busyness and achievement, we can find wholeness and healing. 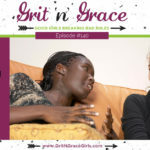 This touching interview is fuel for the real you who’s waiting for you to find your way back!. Michele says that we often use busyness as a numbing device. What area of your life do you recognize as a way to avoid the true you? How could you use silence and stillness as a tool? What “better choice” could you make today to make time for Jesus? A Massachusetts native, Michelle DeRusha moved to Nebraska in 2001, where she discovered the Great Plains, grasshoppers the size of Cornish hens . . . and God. She is the author of four books: Katharina and Martin Luther: The Radical Marriage of a Runaway Nun and a Renegade Monk; 50 Women Every Christian Should Know: Learning from Heroines of the Faith; and Spiritual Misfit: A Memoir of Uneasy Faith. 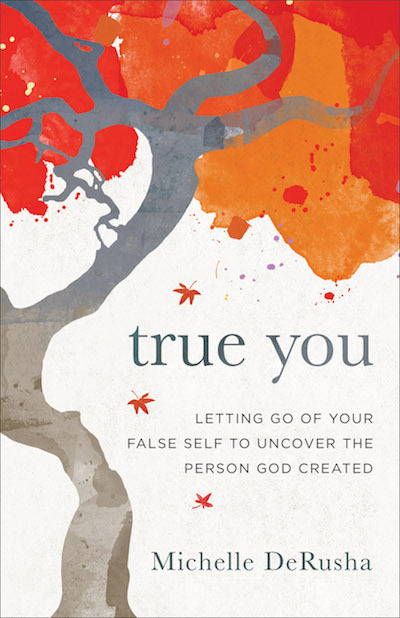 Her newest book, True You: Letting Go of Your False Self to Uncover the Person God Created , guides readers on a journey beyond the striving, noise, and busyness of their lives toward uncovering and living into their true selves. Michelle writes about learning to listen to your soul at MichelleDeRusha.com. She lives in Lincoln, Nebraska, with her husband, their two teenage boys, and their Corgi-beagle. You can find out more about Michelle at her website, on Instagram, Facebook, Twitter, and Pinterst. Amy: So Michelle, tell us the backstory. What led you to write True You? Michelle: Well, it’s been a journey that’s been probably going on for a couple of years now. And it’s been a journey toward knowing and understanding and really uncovering my true self. And what I mean by that is the self, the person, who was created by God. I had become very distanced from knowing my God created self. And I think this story really, if I look back, and I don’t think I realized it until I thought about doing this interview actually. But I think this book and this journey really stems from my first book which was a memoir. It was called Spiritual Misfit. And it was about my journey back to God after a long period of unbelief. And so, this story continues from that story. And while True You is not memoir 100%, there’s a lot of my own personal story in there and it really is a deeply personal story of God’s work in me and of transformation. But I really, I love the power of story, and I love personal narrative and memoir because I really feel like if there is a truth, it is inevitably a universal truth. And so, I feel like we can learn so much even from other people’s stories. And I think it was … I’m kind of stealing that from Anne Lamott. I think she was the one who said something about story and truth being universal and accessible to everybody, even if it’s not your personal story, right? You can access it and relate to it and draw what God has for you out of someone else’s story. So tell us, tell Amy, that’s what I want you to do. I want you to tell Amy. What’s so important about sitting still and quiet in the in between times and what’s wrong with hustle? I have spent my life bragging that I never sit still. So okay, talk to me. What’s the deal here? Michelle: Yeah, well, you and me both, right? My husband calls me triple type A so that will tell you everything you need to know. Not just regular type A, but triple type A. So yeah. I am focused on productivity and efficiency and achievement and success, striving. None of those are, in and of themselves, negative or bad. So even hustle. It sort of has a negative connotation. But in and of itself, that is not bad. When it becomes negative is when we make striving, achievement, doing, being busy, our identity. When our identity rests almost solely, or solely entirely, in those pursuits instead of with or in God. Right? And so, busyness, striving, success, achievement, even efficiency and productivity, can become an idol and I have seen this so clearly in my own life. So the problem with a 24/7 hustle mode or when we make busyness, efficiency, productivity an idol is that it kind of becomes an avoidance mechanism. And I don’t know if maybe you have seen this in your own lives but it’s almost like an addict or an alcoholic who uses alcohol or drugs as a numbing device. Well, some of us can use our to do list and busyness and even achievement and success and striving as a numbing device. And what happens then is that we’re never in touch with what’s going on below the surface of all that. 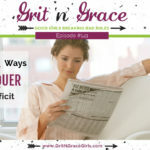 We’re just filling up every moment with items on our to do list and we might in fact be avoiding something very important that’s going on below the surface whether that’s questions, fear, anxiety, distrust. It could be a whole host of things. Sin, darkness. And of course, it makes sense. Who wants to go there, right? Who wants to go to the dark and difficult places? Cheri: Right now I’m avoiding eye contact with Amy. Keep talking. 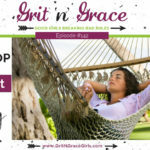 Michelle: We literally fill our lives with busyness so that we will not even have to sit ever with our own deepest, truest selves because there could be something scary underneath there that we do not want to deal with. And that is what I’ve found with myself the hard way actually. Cheri: Well, that leads beautifully to the next quote that I had to pause and it did that tightening in my throat kind of thing. It says, “Only you can answer God’s call to name your deepest brokenness. And only you can offer that brokenness up to God.” So I don’t have to tell you that brokenness is not a top 10 topic for recovering perfectionists. We spend our lives avoiding brokenness. So why is God calling us to name our brokenness, and why on earth does he want us to give it to him? 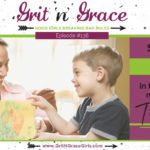 Michelle: God wants us to bring our truest, deepest self to him because that is who we are. So we can’t have an honest, real connection or relationship with him if we are not bringing our whole self to him. So if we are prettying it up and tying it with a nice, fancy, shiny bow and presenting only our Pinterest self to our own selves and to God, it’s not our true self. And therefore, it’s not … We are not having an honest relationship, a true relationship, with him. I’m going to offer you this quote from Brennan Manning. I don’t know if either of you are familiar with the writer. I love him. He’s written a bunch of spiritual memoirs. My favorite is the Ragamuffin Gospel. And he put it like this, he said, “God comes to me where I live and loves me where I am. If I’m not where I am, God cannot meet me.” So that’s a lot. That’s a lot to wrap your head around and it might lead you to question that statement. But if you really think about it, it’s true because if I’m not honest with myself, how can I be honest with God? And if I’m not honest with God, how can we be in a true and right relationship with him. You know? It’s just like any relationship with our husband or with our best friend or with our children. If you’re not honest, it’s not the truest relationship that it can be. It’s not the truest connection that it can be. And so, I think that’s why God wants the deepest, darkest, hardest parts of ourselves, these broken parts. He wants that from us because that is part of us. It’s part of who we are. It’s our dark side, our shadow side, it’s sometimes called. Cheri: So your title has a double meaning then. It’s authentic you but it’s also honest you. Cheri: I get it, all right. Michelle: I think that, you know what though, I hadn’t ever really thought of it that way. But I think you’re totally right. That’s true. I don’t think that was intentional but it must have been subconscious or something. Cheri: Oh, it totally works. It totally works. Well, then you go on to say, “The admission of both my deepest brokenness and my deepest desire set my true self free.” So now you’re going where angels truly fear to tread and you’re talking about desire. I mean, isn’t that another word for selfish? Michelle: I love that question. I’d say yes and no. So if your desire, if your deepest desire is not aligned with God’s vision for you, then it’s going astray. It’s going awry. And we can all, I’m sure, think of examples in our own lives and in people we know where we can see where desire is not in line with God’s vision and it has gone awry. However, on the other hand, I would argue that desire has kind of gotten a bad wrap in Christian circles because the truth is, I don’t think desire I inherently bad. God plants the seeds of desire in our hearts and that desire is to know him and to be in deep, true, and right relationship with him. So again, I’m going to quote somebody else but it’s Saint Augustine from way, way back. I think he was in something like 700 AD or 400 AD or something like that. I’m bad with dates. But he said, “Our heart is restless until it rests in you.” You might be familiar with that quote and some of your listeners might be too. But that is so beautiful and it resonates with me so much because it’s true. If we think about our restless, kind of agitated nature sometimes and we wonder where is this anxiety coming from? Where is this restlessness coming from? It’s because God has planted a desire in our hearts to commune and be in right relationship with him. And if we are not pursuing that to the best of our ability, it presents itself in this agitated, restless nature, restless heart. So I think Saint Augustine was really on to something way back then in however many thousands of years ago he was writing that. Amy: As I’m listening, Michelle, to you and Cheri and I’m thinking about the layers that we’re piling on, our listeners are reforming perfectionists and people pleasers. And then, for most of us, we add church girl to that identity. Amy: So here’s a quote from your book. You said, “Busyness allows us to avoid the deepest questions of our souls. And when we don’t know our deepest, most authentic selves, we can’t know what work and what role God has for us in this world.” And I thought wow, as a church girl, I kind of respond and think don’t I just serve others and I just do the Lord’s work, that was quotation marks around it. Don’t we just do that? Does the rest of it matter? And I’m starting to think that church girl might be an extra complicated layer. What do you think about all that? Michelle: Yeah, I would agree. I would agree. And I maybe don’t come out of the tradition so much of the church girl role but I can certainly relate to it just having this, like I said, triple type A personality. I do believe that God wants us to be happy. And I know that sounds sort of light and trivial and maybe a little bit silly but it’s really not. I believe that God desires joy for us. He desires for us to be content, fulfilled, satisfied, just like any parent desires that for her child, right? I mean, we yearn for the very best for our children and likewise, God yearns for the very best for his children, for us. The closer we get to understanding and knowing our true selves, the more closely we are aligned with God’s vision for us and the more we understand our worth and our value in Christ. So I think that the more that we find true rest, deep contentment, deep fulfillment, really peace, the more we are aligned with God’s vision for us. And so, all of this doing the Lord’s work that you were talking about and a lot of things that we do can in fact be the Lord’s work. And yet ultimately, even in the midst of that, we can still feel that striving, restless, agitated sort of pushing anxiety sometimes without even knowing why. And we’re thinking I’m doing good work. I’m doing what I think I should be doing. I’m doing God’s work. I’m doing the Lord’s work. So why do I still have this anxiousness, this restlessness in my heart? I think a lot about the story of Martha and Mary and you’ve probably talked about that story on your podcast because I think it’s one that women can relate to a lot. And I know I have always related to Martha because I am a doer and I am that efficient sort of busy, busy, busy back in the kitchen. Martha is literally doing the Lord’s work. She is literally serving Jesus, right? Like literally. She’s literally doing the Lord’s work. She’s running around like a lunatic in the background serving Jesus and yet she’s clearly frustrated. She’s clearly agitated, resentful, unsatisfied in that story. And then, we look at Mary on the other hand sitting at Jesus’ feet, absorbing his presence, being wholly present to him in the moment. And I really think that Mary in this story serves as someone who is deeply connected to her identity as a daughter of Christ. And I think Martha is still maybe a couple steps behind. She’s maybe still struggling with that and wrestling with it. And Jesus says … he doesn’t condemn Martha, right? He doesn’t say you’re doing the wrong thing because doing the Lord’s work is not the wrong thing. He just simply says Mary has made the better choice in this situation. Mary’s a little further along, I think. 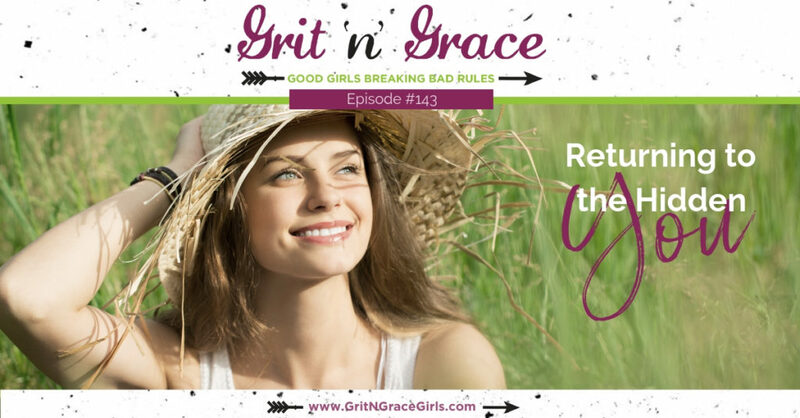 She is firmly grounded in her identity and being present to Christ as a child of God. So I come back to that story a lot because I will be honest. I’ve written a whole book about striving and busyness and finding your identity in Christ and I still have many, many, many Martha moments and it’s a struggle. Amy: We identify. You talk about confronting and naming our false self. So tell us what our false self is and where does it come from and how do we name it and confront it? Michelle: Yeah. I know this gets a little heady but I will try to be as concrete as possible. So when we are born, that is the moment that we are the closest to our truest God created self, right? When we just straight out of the womb as an infant, probably the closest we will ever be to our purest, God created self for the whole rest of our lives because the truth is as we age, and as we grow up, society’s expectations, cultural expectations, even the expectations of our faith traditions, the people that we love, the people that we’re closest to, we tend to absorb some of these expectations and we wrap them around us, layer by layer by layer. And especially when we’re young. We learn what works. And by what works, I mean, we learn what wins us, for lack of a better word, approval and affirmation. And we learn what makes us feel valuable and worthwhile. So for me, that was getting good grades and excelling in sports and being a good girl. I never once broke my curfew. I always came home early because I realized very quickly on, and I mean, I grew up in a very loving home so it’s not a criticism of my parents but I learned what kind of won me their approval and affirmation. And then, once you get that affirmation like wow, your grades are so great and we’re so proud of you and you’re such a good kid. And you start to do it more often because it feels good. And so, for me, and people have different stories and different ways that they’ve grown their false selves. But for me, it was really this affirmation and this seeking value and a definition of self-worth. And so, that has led to just this striving, this need for accomplishment, success, being busy doing all the things all of the time. Yeah, I know it’s complicated. And I know, was there a second part to that question because I think I got to how the false self comes to be but I don’t know if I answered the second part. Amy: How do we confront it and name it then? Michelle: Well, so this gets back to quieting ourselves. So we’re going to come full circle now to what we started with. I think we don’t allow ourselves, because of our busyness and because of our to do lists and our striving and whatnot, we don’t allow ourselves to just sit in quietness and contemplation and allow the deeper, truer parts of ourselves to rise to the surface. So I’ll tell you a story. About a year, maybe two years now, a couple years ago, I started sitting for five minutes a day on a park bench during my daily afternoon dog walk. So I have a dog. I walk her every day, pretty much at the same time every day, the same route because I’m the most structured, boring person you will ever meet. And I decided there’s a park bench there, and I decided … It was purely on a whim one day … I’m going to sit on this park bench in silence and solitude for five minutes. I’m not going to look at my phone. I’m not going to be on Instagram. I’m not going to box a friend or text my sister. I’m just going to sit with myself and my dog. And I did that day in and day out. I rarely missed a day. Maybe when it was raining because I didn’t want to sit on the wet bench and get my jeans wet. But in the cold and in the heat, I did this five minutes of silence and solitude every day. And several months into it, as I was standing up to continue my dog walk, I heard this question and it was, “Why do you have trouble with intimacy?” I know. And I was like oh my gosh, no, what? What? I don’t want that question. I don’t have … what in the world. I don’t have trouble with intimacy. Where did that come from? And I just squelch, squelch, squelch. Just push it back down. But that was an important question because that was my … that was a question from the depth of my soul. That was a question from the Holy Spirit coming to me. And it really had everything to do not only with just relationships, human relationships, but my relationship with God whom I had kept for so long at arms length. And I don’t think that that question, that I fully believe was a question from the Holy Spirit, would have had the time, the place, the opportunity to present itself had I not allowed that quiet and space in my daily life. And so, I did not deal with that question right then. But believe me, it came back. I had to deal with it later and that is very much part of this book that I wrote. So yeah, I don’t know. I think the answer is silence and solitude. The Holy Spirit will speak to you but you need to be quiet in order to listen to him. Cheri: Amy, I’ll go ahead and skip to a related question over here. So in True You, you encourage your readers to develop a regular practice of directed rest. So what is, for those who have, what did you call it? Triple A personalities. How sad is it that I want to know if I have a triple A or not? So what is directed rest? I mean, I think it’s so easy to assume that rest is just what happens when we aren’t doing things. And so, what do you mean by directed rest. And then, how does someone who prides herself on never sitting still learn to quiet herself and practice this directed rest? Michelle: Yeah. Well sadly, rest really for most of us, is not a natural occurrence except when we are sleeping, of course, which that is a form of rest so I will give you that. But for most of us, we are not good at resting. In fact, I can get a little bit nerdy scientific on you but there are a couple networks … Well, I’m sure more than just two, but for this conversation … a couple of networks in our brain. One is called the task positive network. And this is the network that allows us to make decisions and problem solve. It’s kind of like the to do list network, the busyness network. And then, there’s another network in our brain called the default mode network. And this is the network that your brain enters when you are in contemplation or even daydreaming, sleeping, resting, introspection, reflection, that kind of thing. The problem is because we are so constantly in the to do, to accomplish, busyness mode, our brain constantly in this task positive network, and it literally forgets how to rest which is why when we do finally try to rest. I don’t know if you’ve ever experienced this but you feel anxious, you feel restless. You’re like oh, pick up my phone. Should I read the book? Should I turn on the TV? Turn off the TV? I mean, you don’t even know what to do with yourself. And it’s your brain saying I don’t know how to go into default mode network anymore because you have so rigorously pushed me into this task positive network all the time, it forgets how to rest. And so, my two pieces of advice are, if that is you which most of us are, start small and start intentionally. And so, I just talked about the one practice that I established. And believe me, it was entirely on a whim. I had no idea what I was doing. And those first many times that I sat on that bench for only five minutes, you would be shocked how long five minutes feels when you have zero distractions. Right? The first time, I picked up my phone twice to look at the time, twice in five minutes. Once at two minutes and once at four minutes because five minutes felt like an eternity. You know? My body was so and my brain was so not used to resting. But over time, right, with practice, I was able to get more into the rhythm of that. And so, I have a couple actually resources and I can certainly tell you and your listeners about those. They’re both free. One’s an ebook and one is a guided audio meditation that I think would help listeners if you’ve never even … if you don’t even know how to sit still in silence for five minutes that it could be helpful. Cheri: Thank you. I will be checking those out immediately. Cheri: Amy will go ahead and wrap. Amy: Okay. Michelle, sorry. Michelle, what encouraging words would you like to leave our listeners with? Michelle: Well, I have been reading the Gospel of John these last few weeks in the message version. And so, I want to share just a tiny bit of scripture with you. It’s from John 5:40 and Jesus is speaking to his followers, his disciples, and a bunch of listeners. And he says, “Here I am standing right before you and you aren’t willing to receive from me the life you say you want.” I know. It’s so impactful. It stopped me in my tracks. And it’s tough teaching. There’s some toughness there. There’s a lot in that sentence. But I would encourage your listeners and really just all of us to sit with those words, to really sit with them. Let them soak into our heart and our soul and our marrow because the truth is Jesus is willing to give us everything we need. But the question is, are we willing to receive it from him? That’s an important question and it’s something that I have been thinking deeply about in the last just, certainly in the last week or so, since I read those verses. So, that’s what I will leave you with. It’s a little tough but it’s the truth, right? Are you reading my mind and my journal? I’ve recently been struggling with issues to do with rest, identity and chronic people-pleasing/performancism, and look what’s been on your podcast when I finally got back here! Thanks so much for addressing these topics because I sure needed them!